Genealogists are interested in documenting family who came before us as well as the collateral relatives who came after. For Americans, much of the historical work very quickly involves another country. And, needless to say, not everyone in a family emigrated to America so most of us have relatives now living in the home country. Finding those present day cousins seemed too difficult to even know where to look. But on March 17, 2014 just such a cousin made a contact through the Internet. This blog is about meeting Kornelia "Conny" Pelz, a Kumshier 4th cousin once removed. 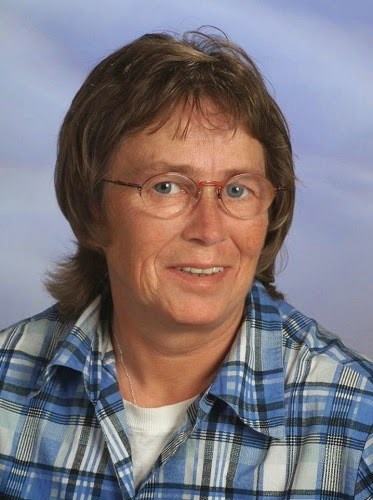 Conny began her genealogical search in 2009. One of her aunts, her mother's sister, told her of a cousin of her mother's who lived in Germany, 4 kilometers from Neubäuhütten Bohemia (now Novosedelské Hutě, Czech Republic.) Conny made that call and continued to call all the other Kumshiers in the area. Next she found church records from Neubäuhütten on the Internet. She began the difficult task of translating the records from the Latin and German Gothic script. At about that time, Wilhelm Kumshier, a cousin of her mother's gave her old photos and documents from Neubäuhütten. From the documents she discovered that one brother (Michael) of her great grandfather, had emigrated to America when he was 14 years old in 1884. She also found Anna Kumshier who had married Andrew Irber and emigrated in 1874. At this time she found that the name Kumshier was spelled Kunshier in America. She also discovered another family in Iowa who spelled the name Kumsher. As she searched for Kunshiers in America she came to my blog site where my great grandfather Joseph Kunshier and his wife were listed. She made comments on that blog about the family connection. Hallo, I am from Germany and I have a question. Are you Mr. Glaeve, who malke Storys ower the german immigrates to USA. When you are this Mr. Grave than I have nice information over the family Konschier. I read a report from Mr. Graeve in the internet in Greave Genaalogy Journal August 2013. I am very grateful that Conny writes to me in English. Her English is much better than my German. Unfortunately, I did not see the comment for another four months! But when I did, I sent her my email address so our contact could continue. She made the connection and we have been in communication ever since. Conny was born Kornelia Henrich on April 4, 1959 in Breitscheid, Hesse, Germany to Rudolf Henrich and Herta Luise Kumschier. She married Lothar Pelz and has two sons, Timo and Sascha. 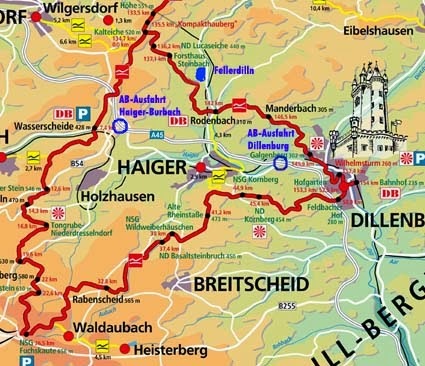 She now lives in Allendorf, Hesse, Germany, 2 km from Haiger. Kornelia "Conny" has now started a family face book site, "Big family with Kumschier, Kumsher, Kunshier, Konschier". We have been adding members, photos and documents to this site. Conny has given us a wealth of information which we will include in a number of the coming blogs.